Our route to Havana took us through Mexico City, one of the largest cities in the western world. Knowing it would be impossible to see everything this megaplex has to offer, we allowed just three days of our journey to see what we could of the capital city. We flew here for free (using points!) from San Antonio on Southwest Airlines. Unfortunately we didn’t get to stop into any of the multitude of museums, but you can find a good list here. Zócalo is the historic center of the city, where the federal buildings are located; a good place to start your explorations. We stayed at the Hampton Inn (again for free, using points!) which was just two blocks from the main square. There is always something going on in the square, so you will definitely enjoy walking around and going into the cathedral. 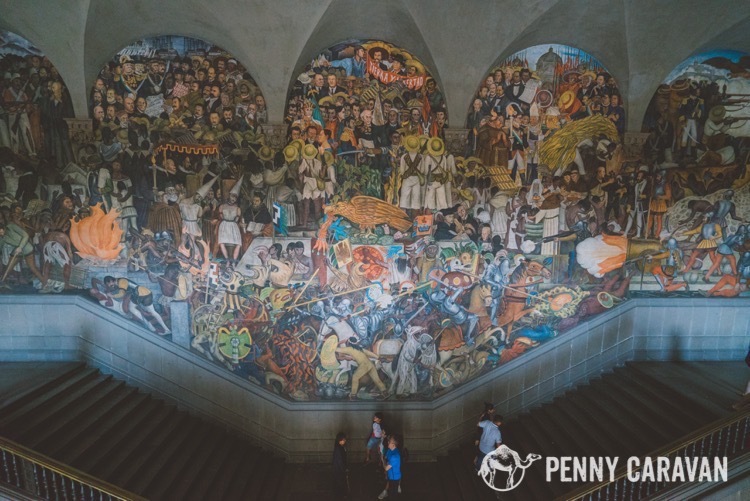 Go to the Palacio Nacional to see the famous murals by Diego Rivera. Entry is free, but they will hold your passport while you’re inside. Diego Rivera’s History of Mexico at the Palacio Nacionál in Mexico City. Cactus Garden at the Palacio Nacionál. 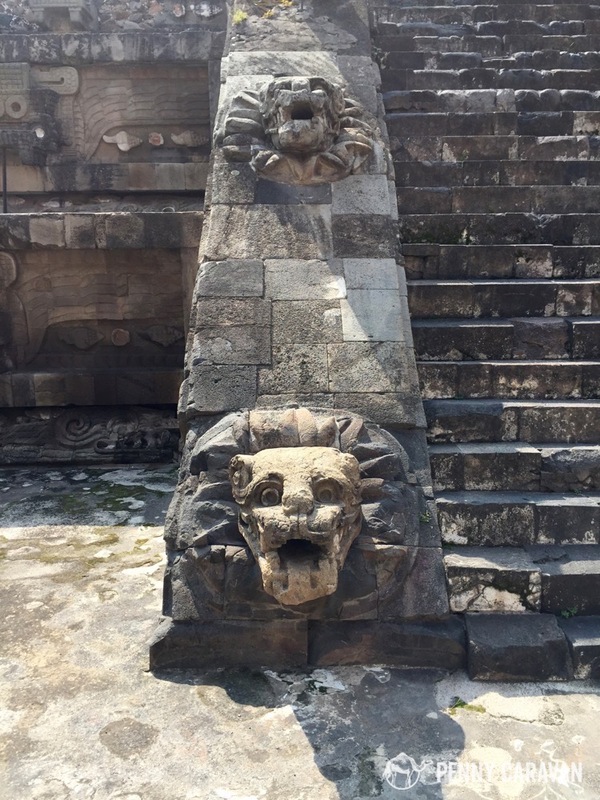 The sprawling ancient site of Teotihuacán located 50km northeast of Mexico City was the capital of Mexico’s pre-Hispanic civilization, founded in the 1st century AD. 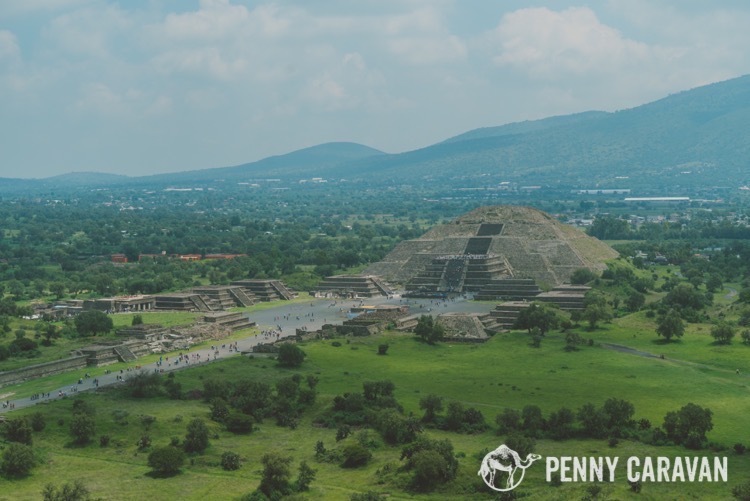 The pyramids are spread across the 2km long main avenue, the Calzada de los Muertos (Avenue of the Dead). Be prepared to spend most of the day here, and wear your walking shoes. It’s cheap and easy to get there on your own using the metro and bus system. See our other post for directions here. 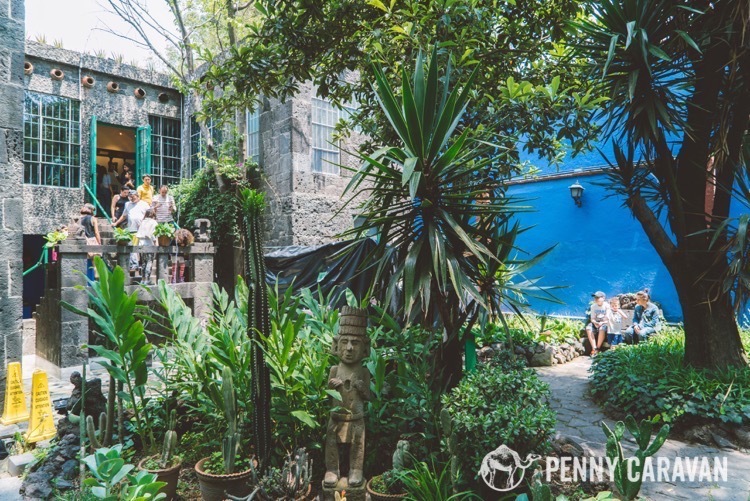 This beautiful home belonged to the family of Frida Kahlo and is where she was born and lived most of her life. 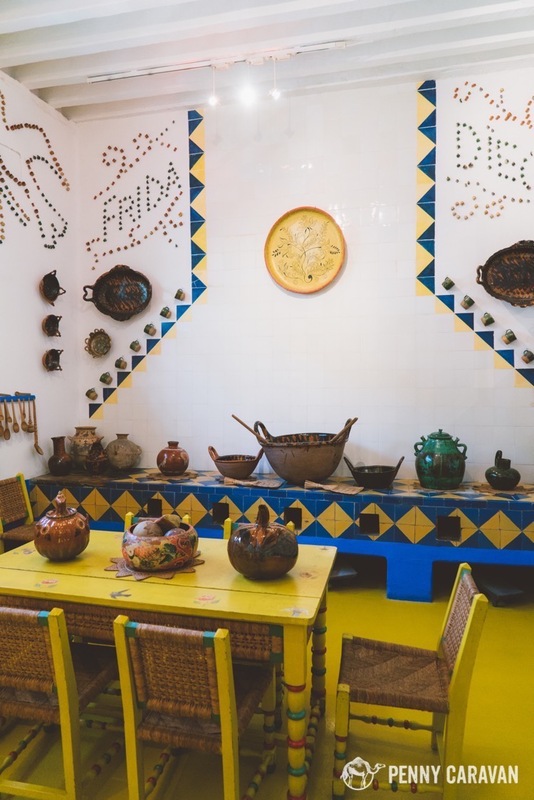 Many of the rooms have been kept exactly as they were when she lived there, though some have been turned into gallery space holding her lesser known works, sketches and photography. Photos are allowed in the courtyard only. A photography permit will allow you to take photos everywhere, but it costs an extra $60 pesos (about $4USD). See more photos and directions here. The courtyard at Casa Azul. The ballet is a great performance of traditional songs and dances that lasts about 2 hours. We were especially impressed by the harp play-off. Even the nosebleed seats were great! 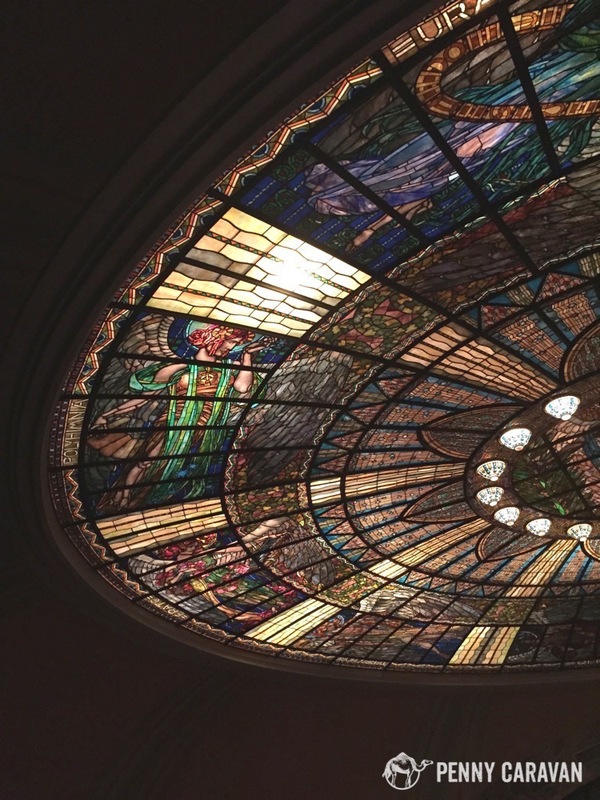 The performances are held in the beautiful art deco theatre of the Palacio de Bellas Artes. Come early in the day to get your tickets, and to check out the building which houses lots of murals by famous Mexican artists on each level. Ceiling at the Palacio de Bellas Artes. 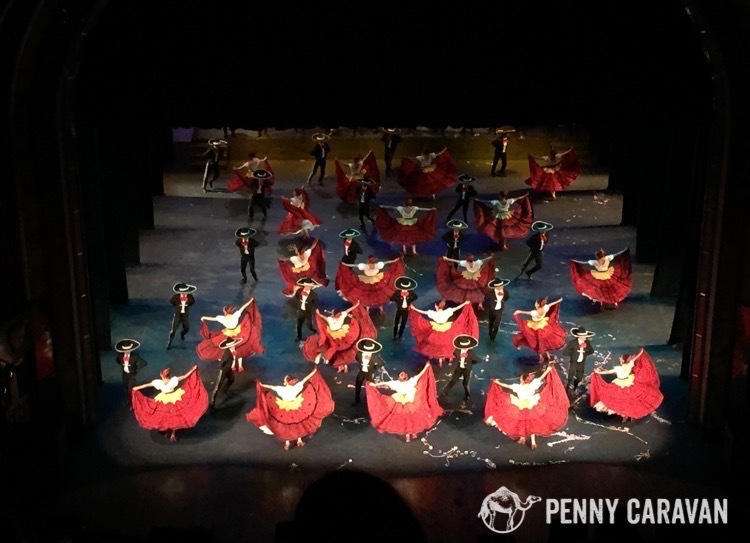 Ballet Folklorico at the Palacio de Bellas Artes. These spring-fed waterways have been used since ancient times, connecting the settlements along the valley. Today, colorful boats entertain travelers with a scenic ride on this World Heritage Site river. 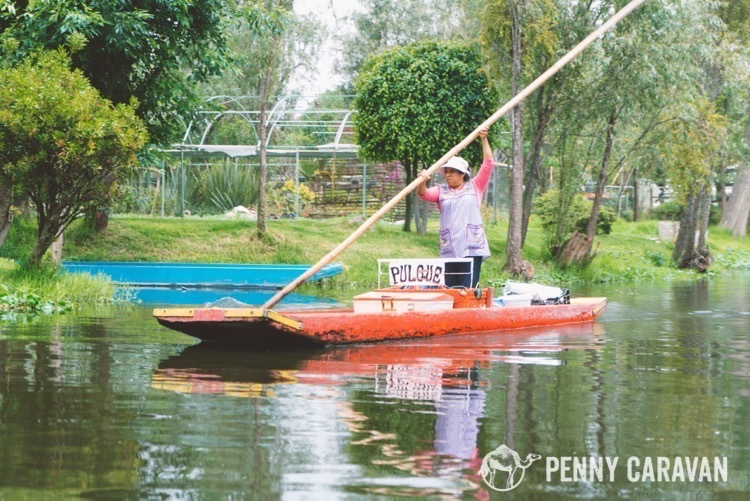 Local vendors will paddle their boats up to yours to sell food, flowers and music. Boats are rented by the boat, not necessarily by the number of passengers, and it’s all very negotiable. We paid $60USD for 4 people, for a 1 hour ride. Tip: If you see another small group of travelers walking from the metro to the river, ask to team up and maybe you can all get a better deal. The boats seem to be in use every day, but I would recommend going on a Sunday when more locals will be there. We went on a Monday and there was hardly anyone there so it was all very sleepy and not as festive as we were expecting! 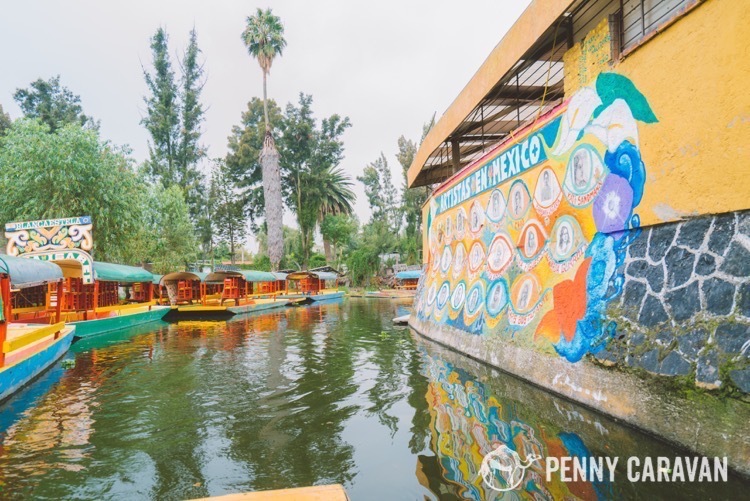 A river vendor selling Pulque at Xochimilco. With an easy-to-navigate metro system, we were very at ease exploring this great city on our own. 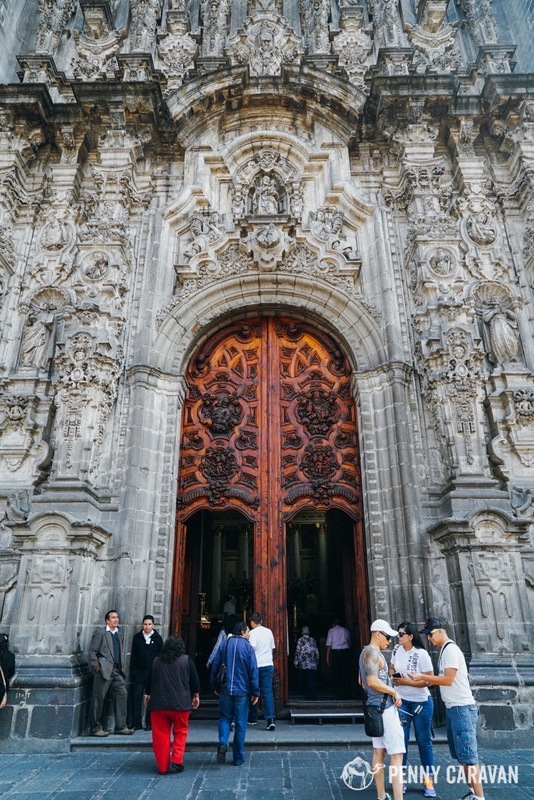 Though we only got a small taste of the rich heritage of Mexico City, we feel that our mere three days there were well-spent! 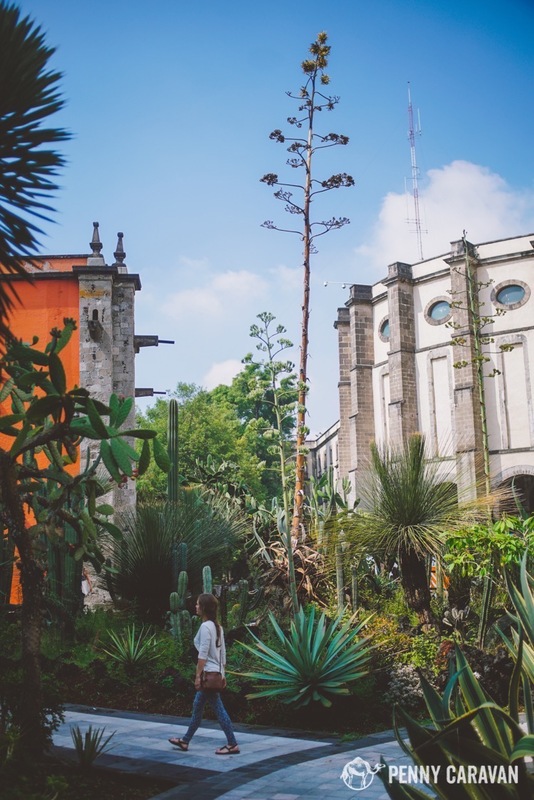 Have any other must-sees in Mexico City? Let us know in the comments!